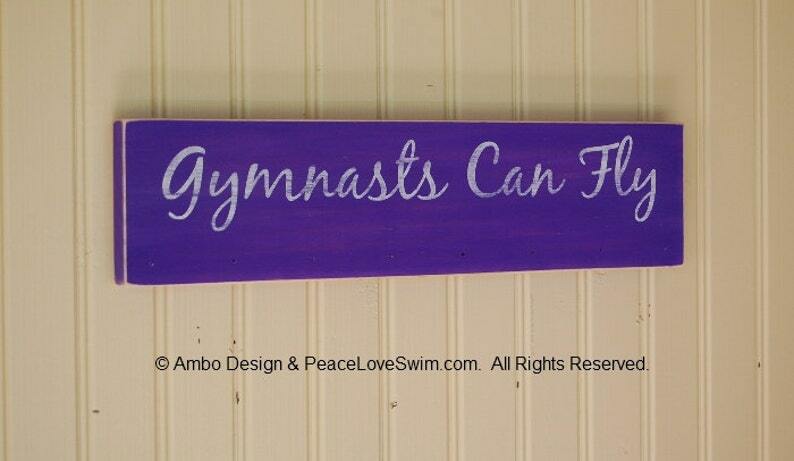 Gymnastics Medal Display - Gymnasts Can Fly - Can be customized for any sport, name, statement, etc. Great for ribbons too! DESIGN NOTE: Picture shows seven (7) hooks. We now include eight (8) hooks on all displays. Be sure to specify colors upon check out or they will be painted as shown. For changes to font colors and/or name additions/substractions, please type them in the notes area available during checkout. If nothing is specified we will use our best judgement on color sets.